There’s nothing like watching the leaves on trees change from green to shades of orange, yellow, brown, even reds… Wait. Well, not really here in the LA-area. They go from green to crunchy brown; thanks drought! Even if I can’t really enjoy the changing leaves around here, I can still appreciate the gorgeous hues of fall and when coming up with an Autumn-themed drink, I knew these colors had to be in it. I had received a bottle of VOCO Coconut Water Vodka in a goodie bag from an event and couldn’t wait to try it– coconut water + vodka? Um, yes. 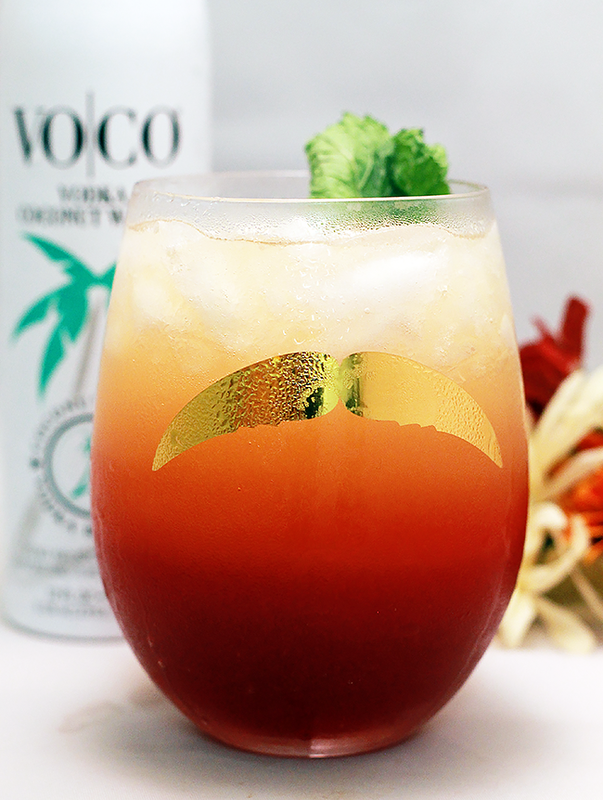 I wanted to put a twist on a classic tropical pineapple & coconut drink and what better way to do that than with cranberry? Topped with a little club soda for extra fizz, this drink is a refreshing, fruity glass of yumminess. Mix together first 3 ingredients (or add the pineapple and cranberry juice in layers as I did here) and serve over ice. 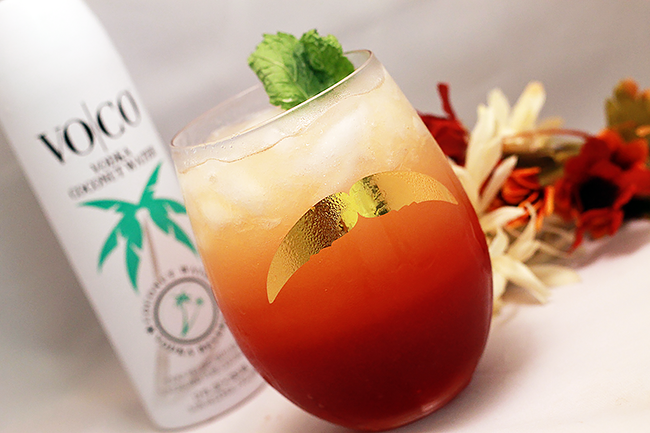 Top with a splash of club soda and garnish with mint or pineapple. Enjoy!